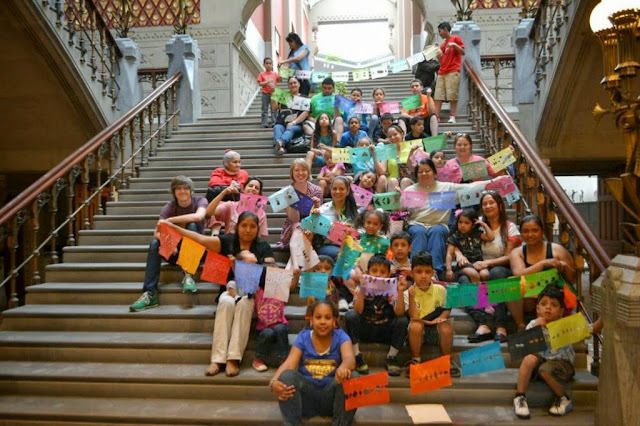 After fighting through that bit of alliteration, check out the awesome papel picado we made at the Family Art Academy at PAFA this weekend. 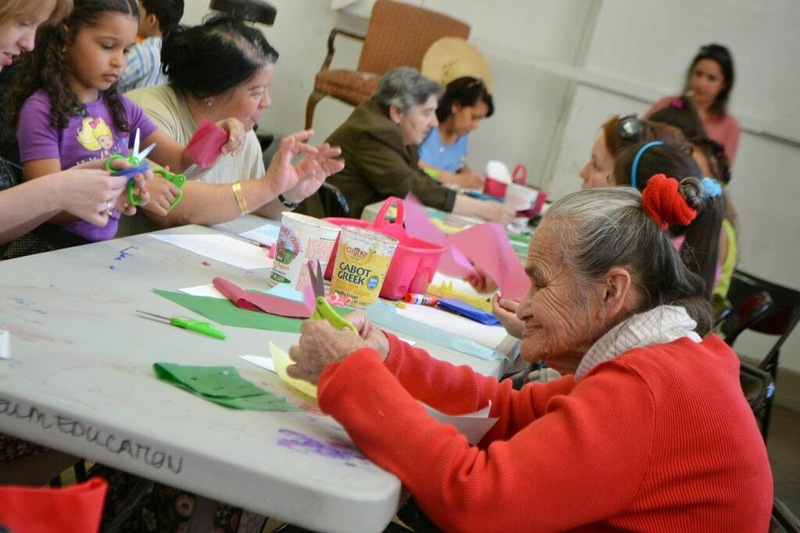 With a translator for both our English and Spanish speaking visitors, we started with a bit of history: going back to the Aztec tradition of pounding mulberry and fig bark into paper and cutting decorative holes in it, making banners. The Spanish conquest of the Aztec Empire introduced imported Chinese goods to what is now Mexico - all wrapped up in colorful tissue paper (or "China paper" as it is still referred to today). The paper was perfect for making papel picado - super available, cheap, and in every bright color! We explored common themes used in papel picado (like skulls, botanicals, and animals) and the symmetrical designs incorporated into the individual flags. 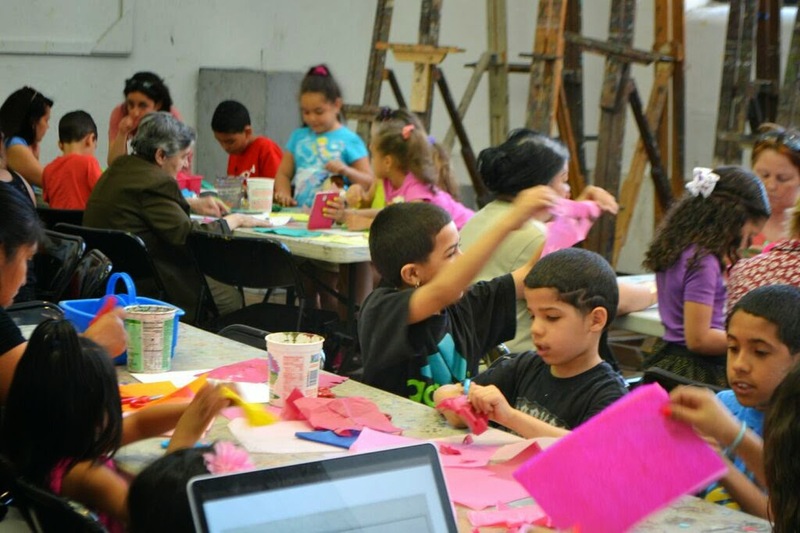 A brief demo in folding and cutting left our visiting families with the skills to make collaborative banners to celebrate upcoming holidays!